(NOTE: Please rename Student498.eee to Student498.exe from inside Unzip Program before Unzipping the file). Student498.zip - Integrated Static and Dynamic Finite Element Based Structural Modelling, Analysis, Steel and Concrete Design, Foundation Design, Volume and Cost Calculation, Drawing Generator, Multiple Languages Support (English, Indonesia, Spanish, French, German, Italian, Portuguese). Building Design, Bridge Design, Tower Design, Building Assessment and Testing, Foundation Design, Bored Pile Services, Drawing services, 3D Rendering Services. This is ESRC official homepage. Here you can find our latest news and products, data, graphics and software release. In this edition I have uploaded the latest version of SANSPRO V.4.98 (Student Version) which includes Indonesia Earthquake Map 2011 and Table of Ss, S1 for 70 cities in Indonesia, Windows 7 Support, OpenGL 2.0 and other new facilities. 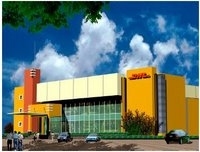 In this new facility we have more space for SANSPRO training and our engineering consultant services. ESRC Conference has been held on Saturday, Feb 26, 2011. The seminar was designed for practicing engineers, ESRC members, staff of Indonesia Ministry of Public Works and fresh graduate students. Totally 200 participants had come to the conference. Prof. Iswandi Imran, Ph.D. (Indonesia respected expert in Concrete Technology from ITB) and Prof. Paulus Pramono Rahardjo, Ph.D. (Well known Geotechnical expert from Unpar) have delivered their interesting papers on recent progress in aseismic design. Mr. Nathan Madutujuh talked about Dynamic analysis using SANSPRO, and other speakers also discussed about using SANSPRO for designing actual structures. ESRC was founded by Nathan Madutujuh in 1989 to do research and development of practical and affordable engineering software, utilizing latest hardware/software technologies and advanced graphical and numerical methods. Our low-cost software solutions currently being used by thousands of engineers from all over the world. Nathan Madutujuh was graduated from Civil Engineering Department of Parahyangan University, Bandung, Indonesia and he got Master Degree in Structural Engineering from Virginia Tech, USA. He is currently studying as a doctorate candidate in structural engineering at Parahyangan University, Bandung, Indonesia. ESRC has been providing low cost but advanced engineering software for Indonesia and Asian countries for more than 18 years. We have more than 40 products for structural analysis and design, soil laboratory, geotechnical engineering, bridge design, transportation, and customized software for many building industries. ESRC is supported and funded by PT Anugrah Multi Cipta karya, an Engineering Consultant for structures and foundation design projects, covering high-rise buildings, bridges, towers, and other structures. SANSPRO V.4.96 - Fully Integrated Structural Analysis and Design System that can be used to model, analyze, design, generate detail drawing, and compute volume and cost report (USD 500). Student version avalable for free (300 DOF maximum capacity). Now compiled under Windows 7 and support Windows 7, including the installer. 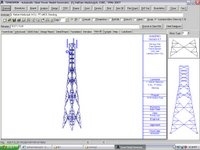 TOWERWIN V.3.2 - Easy to use, Very high level Tower Designer: Model Generator, Wind Load Generator, Force Analysis, Member Design, Foundation Design, Connection Design, Volume and Cost Calculation. For Radio/TV/Power Transmission/CDMA/GSM Tower, 3/4 Sides Steel Lattice Tower, EIA/TIA-222F Code (USD 500). 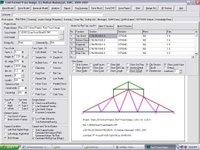 NROOF V.2.1 - Integrated Cold Form Steel (Light Steel / LGS) Truss Model Generator, Analysis, Design, Volume and Cost calculation, Cutting plan, and Drawing generator using AISI-2002. 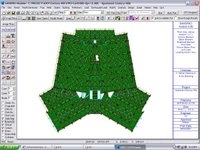 Roof Truss is modeled using parametric method, no need to draw a line. 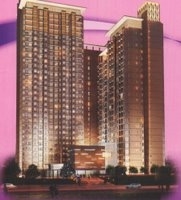 Roof Load will be computed by program and Member size will be selected automatically. NBRIDGE V.2.1 - Bridge Model Generator using AASHTO 2002 Moving Load and Influence Line Analysis, Composite Steel and Concrete Slab Bridge, Force Analysis, Girder Design, Shear Connector and Stiffener Design, Pier and Foundation Design (USD 500).